Feburary 8, 2009: E.J. 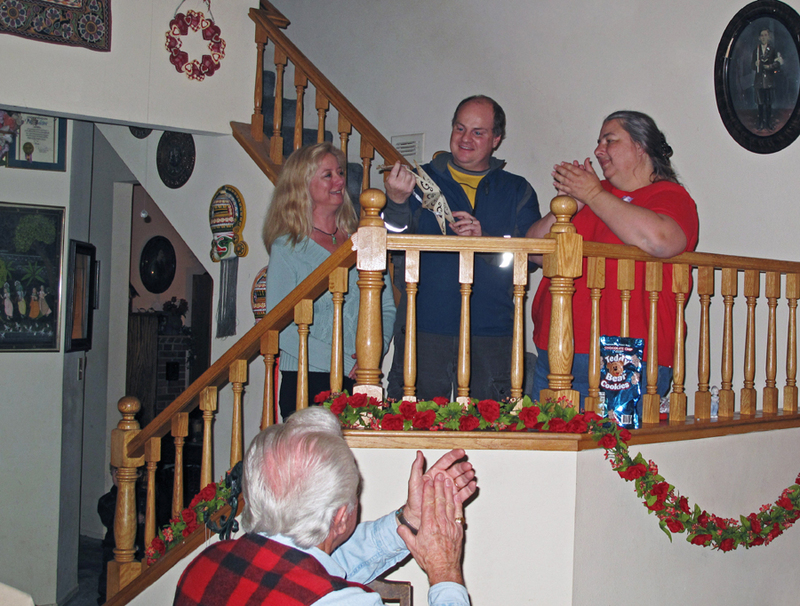 Stephens is named the Santa Clarita Valley Historical Society's Docent of the Year for 2008 (seen here with wife Kim and award presented by Pat Saletore). E.J. was a frequent volunteer docent at the Train Station. In addition to his docent duties, he successfully implemented the "Flickers at the Junction" classic movie series, enthralling packed audiences with silent movies accompanied by the magic fingers of 96 year old Bob Mitchell, last of the silent era organists. E.J. is also a valued member of the SCVHS Board of Directors, with many great ideas and visions for the future of the Society.